Captive top. 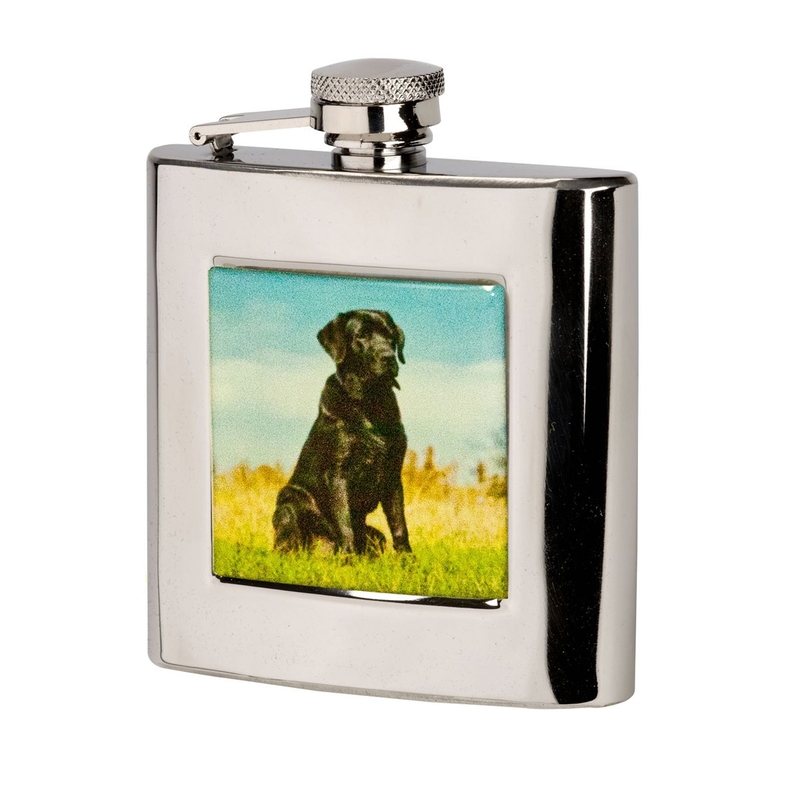 Stainless steel with square Black Labrador motif. In presentation box with funnel.